Peoria residents addressed Illinois lawmakers Monday during a hearing about potential funding for infrastructure projects through a proposed capital bill. The Senate Subcommittee on Capital and Transportation heard testimony from educators, local government officials, businesses, local transportation officials, local labor officials and community interest groups. 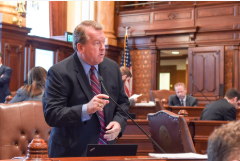 While many at the hearing named projects for which they hoped to receive funding, Sen. Don DeWitte (R-West Dundee) said what would be most helpful would be suggestions on how to fund the projects. "The need is great," DeWitte said. "But, I would caution you while you're discussing the projects you have in mind, please be prepared to talk about how you intend to help us pay for this." Sheila Quirk-Bailey, the president of Illinois Central College, said the school had some extreme needs. "As to how to pay for it," Quirk-Bailey said. "Give me that equipment and those buildings and I can help you grow business and make families stable and start to turn this state around." Denise Moore, speaking for Peoria's Business Development Center, said that if more people were employed, that would help the state's overall economy. "More employed individuals would bring more money into the state," she said. "If we have more people who are employed, it will pay for itself." Tim Schmidgall of Business Labors Local 165 said that Illinois needs more than a short-term fix. "I believe everyone has had interesting ideas on how to fund [their projects], and I welcome them," Schmidgall said. "The 1,000-plus members I represent will rally to support whatever is needed locally and how to pay for them." Sen. Martin Sandoval (D-Chicago) echoed DeWitte's sentiments. "You’re going to have to eventually let us know how we’re going to pay for all of this," Sandoval said. "The engineers had no idea, the academics had no idea, the municipal folks had no idea, either." Sandoval said those asking for funding needed to go on record and support lawmakers on the revenue. "It’s easy to say ‘I need, I need, I need’ and it’s a cheap shot just to say ‘well that’s your job, Senator,'" Sandoval said. 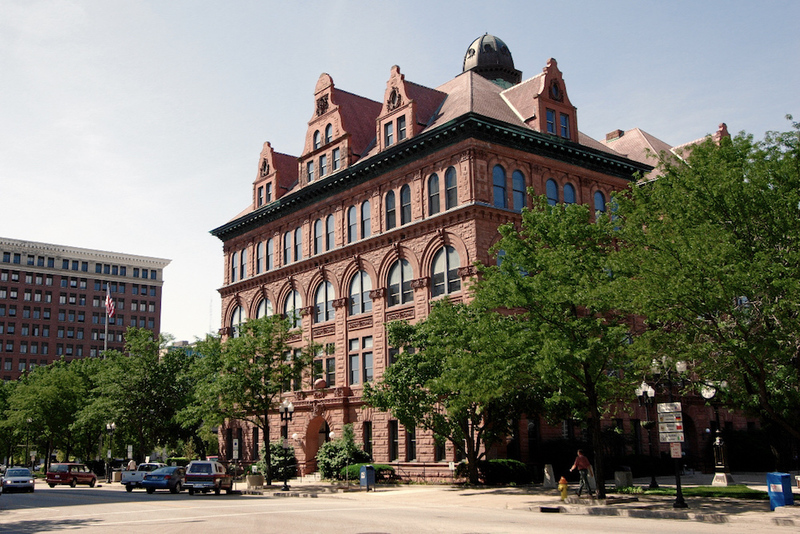 Projects that were suggested included $6.13 billion for 171 community projects across the state by the Illinois Municipal League; the expansion of U.S. 124 from Kingston Mines to Banner by the Spoon River Partnership for Economic Development; $10 million to Bradley University for various projects at the college; and $2.8 million for deferred maintenance needs by Spoon River College.